On the way back home from the Lake District we decided to drop off at Carnforth to visit the train station where Brief Encounter was filmed. I’ve wanted to go there for ages and I wasn’t disappointed, the café was great. 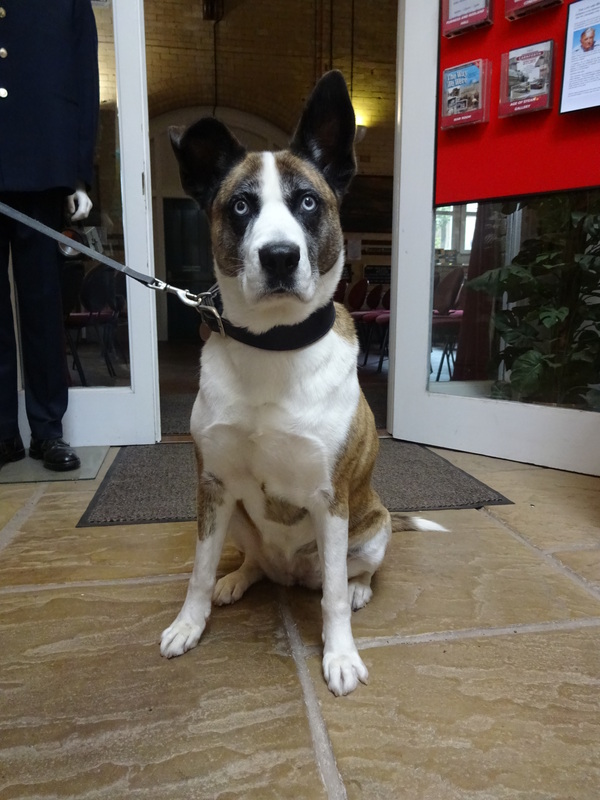 Whilst we were there we met a beautiful dog called Jo, a Boxer and Husky cross; what a great combination, look at how lovely she is! 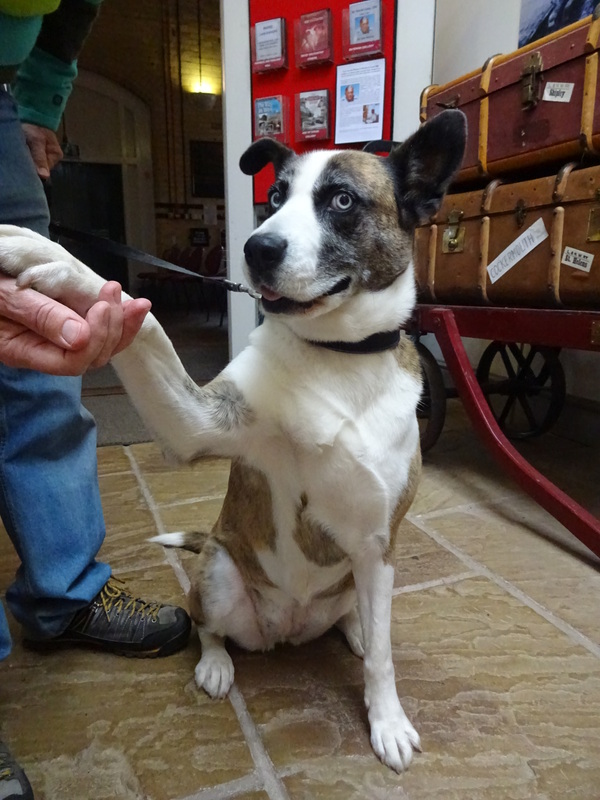 Jo is a friendly girl, I gave her lots of fuss and she gave me a little kiss! Jo was a very excited puppy but she’s started to clam down as she’s gotten a bit older. Jo loves spending time with her human daddy, they’re with each other most of he time. Jo is really good at catching; she can catch a biscuit that is thrown across the room. As you can see in the photo one of her ears sticks up whilst the other one flops over, how cute. Favourite food: Steak! Jo also really likes fish. Oh hey this is near us! What a shame! We’re talking about a little day trip to Lancaster at some point so maybe we could arrange to meet up there? Cool, I’ll let you know when we’re heading up there!